Nope, not me… I married my boy 12 years ago, and I’m planning on it staying that way! But my beautiful cousin Emma was married to her lovely Dan recently and she has such good taste I thought I’d share it with you. 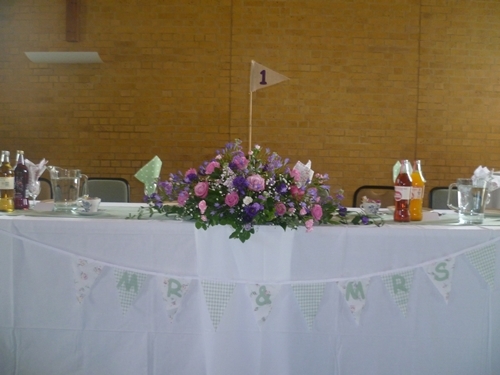 Including Mr and Mrs bunting on the top table. 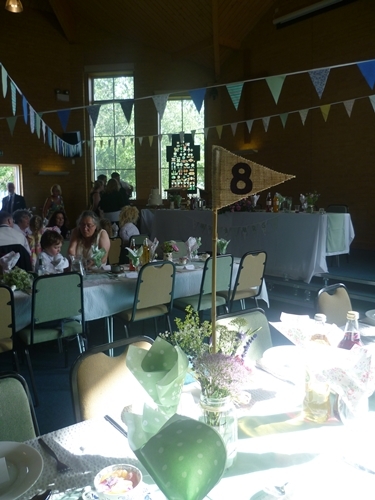 And see that cute hessian pennant? 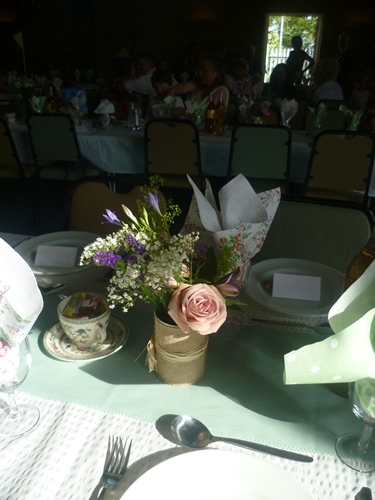 they were on all the tables to show the table number. 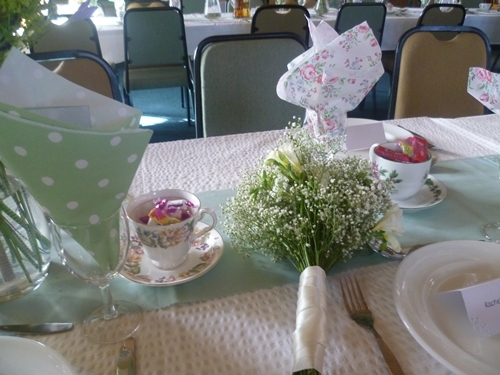 Did you spot the Kath Kidson Napkins? 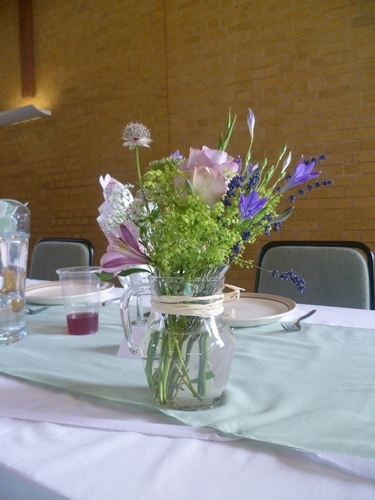 The table flowers were all English hedgerow in a mixture of cool containers like Jam Jars and tea pots! 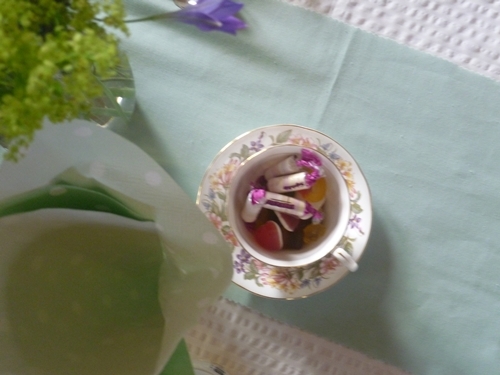 Up and down the tables were vintage tea cups filled with sweeties. yummy! 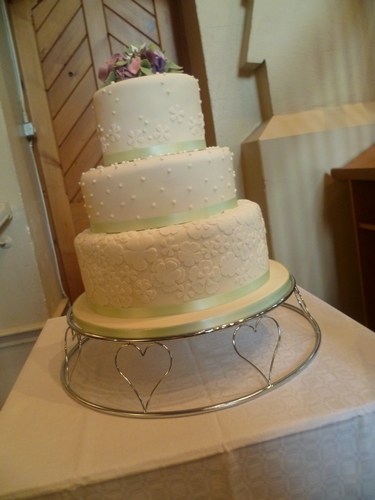 And a quick glimpse of the cake made by one of Emma’s wonderful friends…. My photos don’t do the wedding justice. For true art, see here! I’m pretty sure Nadia is actually a genius!